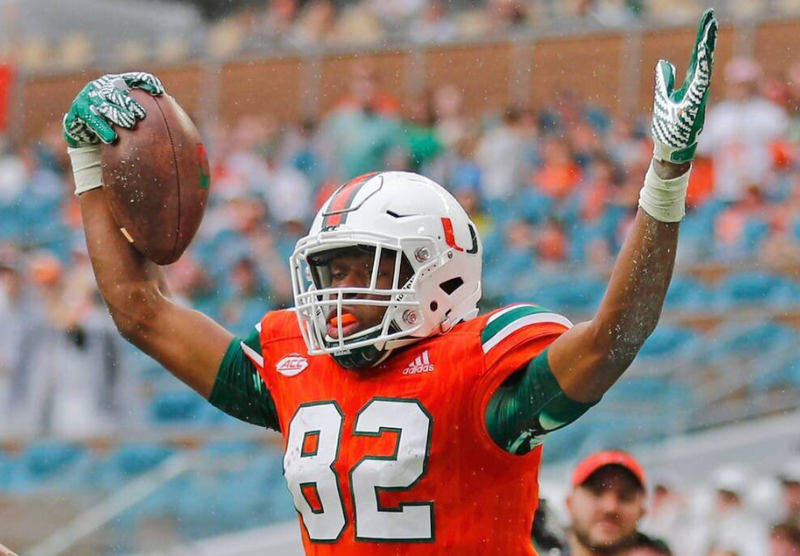 American football wide receiver, Ahmmon Richards plays for the Miami Hurricanes team by wearing shirt number of 82. He had played bowl games in 2016 Russell Athletic Bowl & 2017 Orange Bowl. His class is Sophomore. Birth on 20th May 1998 in Wellington, Florida, USA, Ahmmon Richards holds American nationality. He completed his high school from Wellington (FL). Currently, he is attending Miami Collge. His horoscope is Taurus. Charming player, Richard has got the attractive body. He stands 1.85 m tall and has a balanced weight of 86 Kg. Richards started his career in the college. He is committed to the University of Miami to play college football. During his career, he had 144 receptions for 2,722 yards and 39 touchdowns. 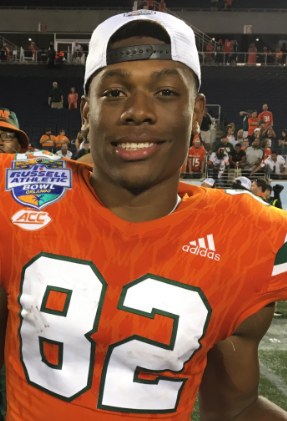 In the year 2016, he played in 13 games and made 11 starts as a true freshman at Miami. Then, he finished the season with 934 receiving yards, which broke Michael Irvin's school record for receiving yards by a freshman. He was second on the team with 49 receptions and three touchdowns. His playing style is very brilliant. Richards is still single and not married yet. He has not spoken about his love life to the media. This charming player possibly may have a girlfriend. The net worth and salary of Richards are not revealed yet. There is no any doubt that he is earning a good amount of money and satisfy with his earning.